Seastainable sells reusable metal straws to encourage people to reduce their plastic waste to protect the ocean. 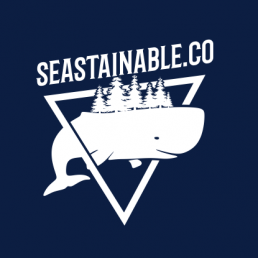 Seastainable sells stainless steel straws and other long-life alternatives to plastic products, and has committed to protect the ocean by giving a minimum of 50% of their profits as grants to marine wildlife conservation projects. The company has sold over 400 metal straws, which come in a 100% recycled linen pouch, and with a purpose-built cleaning brush. The products are also delivered using recycled cardboard. Seastainable has donated over $10,000 to 14 conservation projects across in the Philippines, Malaysia, Singapore, and Palau. The initiative can hopefully contribute to reducing the amount of plastic straws used everyday. The US alone uses 500 million straws in restaurants, hotels and homes each day. Straws are very rarely recycled and can take over 100 years to degrade in the ocean, potentially releasing greenhouse gasses in the meantime. More than 8 million tonnes of plastic end up in the oceans each year, this is equivalent to dumping one garbage truck full of plastic into the ocean every minute. Seastainable offers a product than can replace plastic straws, and hopes to stem the tide of irresponsible plastic disposal. The Seastainable straws promote responsible consumption, given that they are reused and recycled once they have reached the end of their life cycle. By encouraging people to use reusable metal straws, Seastainable can contribute to lower the amount of plastic straws being dumped into the ocean and affecting marine wildlife. Seastainable supports marine conservation by encouraging individuals to reduce their plastic consumption through the use of reusable metal straws.